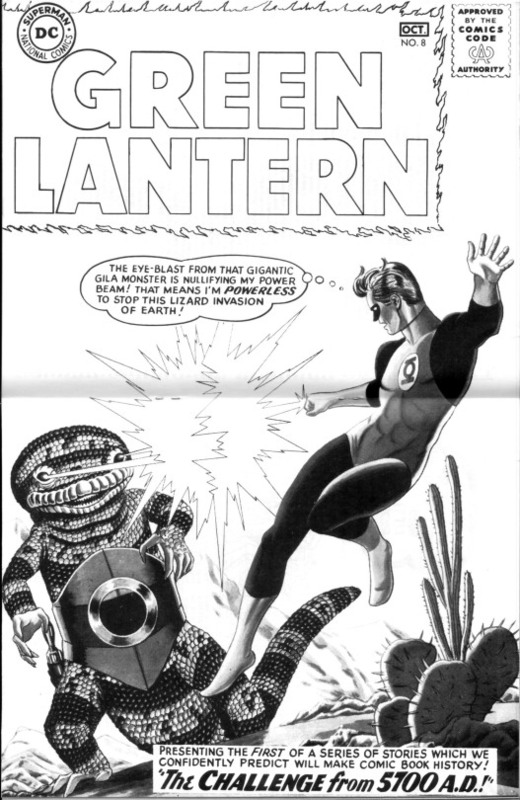 I saw it advertised in assorted DC Comics, as I had seen the ads for the previous issues, but I didn’t quite know what a “fanzine” was, so I never sent away for any of them. Until this point. This particular issue of THE AMAZING WORLD OF DC COMICS was said to contain “The SHOWCASE Story.” Knowing that the silver age Flash first appeared in SHOWCASE, and desperately wanting to read that first Barry Allen adventure, I convinced myself that this magazine must reprint that key story, and so I convinced my Mom to send away a dollar-and-a-half for a copy, which eventually turned up in the mail. What I got wasn’t a comic at all, but a well-produced insider’s look at DC–one that I really wasn’t able to fully appreciate at the time. THE AMAZING WORLD OF DC COMICS was produced in-house by DC’s youngest staff members, the so-called “Woodchucks”, many of whom would go on to a place of prominence in the industry. 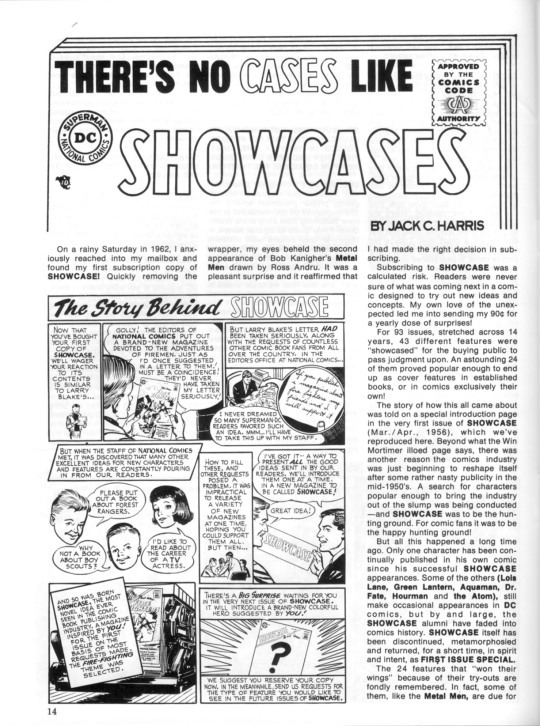 The “SHOWCASE Story” was a lengthy article on the history of that since-discontinued magazine, and its place in comic book history. I was pretty fascinated by it, despite my disappointment at not getting to read that first FLASH tale. There was also a lengthy article/interview with Sol Harrison and Jack Adler about their long association with the firm. Adler was the person in DC’s production department who had innovated the greytone process that had been used on a number of excellent covers in the 1950s and 1960s. The centerspread to the issue reprinted this one from GREEN LANTERN #8, the cover to a story that I had actually read a few months previous in DC SPECIAL. There was also an extensive section previewing upcoming issues that had yet to be released, which fascinated me and made me lust after some of these comics–most of which would end up in my hands in the weeks ahead. This was preceded by an article about a group of fans in NY for the Super DC Convention visiting the offices while costumed as the Legion of Super Heroes. Next came a short mystery story, which I loved, as it was all about a comic book writer. It’s actually one of the cruelest stories I’ve ever seen, and I completely understand why somebody at DC thought the better of it and pulled it from the regular books, running it only in this limited edition fanzine. The story is a bitter slam at the then-recently-deceased DC author Bill Finger–the co-creator of Batman and Green Lantern and writer of thousands of individual DC stories. Here, he’s cast as “Phil Binger”, a compulsive procrastinator whose best stories are the lies he tells his editors in order to get an advance on his paycheck. As a kid, without the context to understand what I was reading, I loved this tale, and the zany Ramona Fradon artwork really made it sing. But it’s a story that, once you understand what it was really about, is stomach-turning. 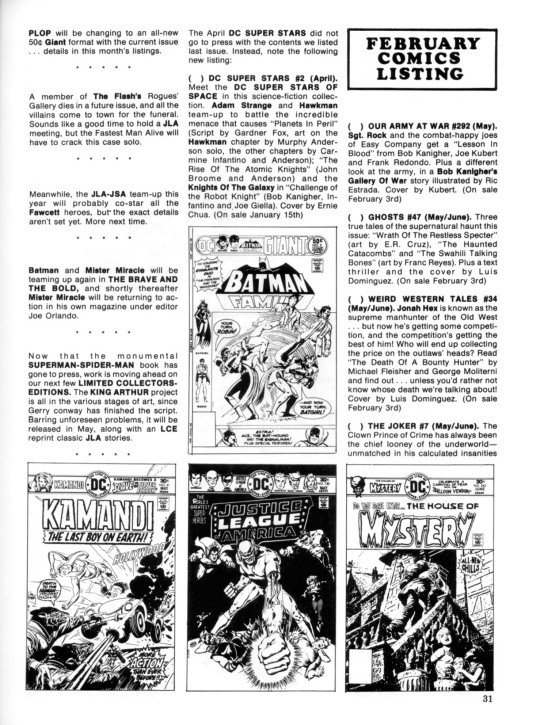 Next up was the latest in a series of articles concerning how a comic book was put together. 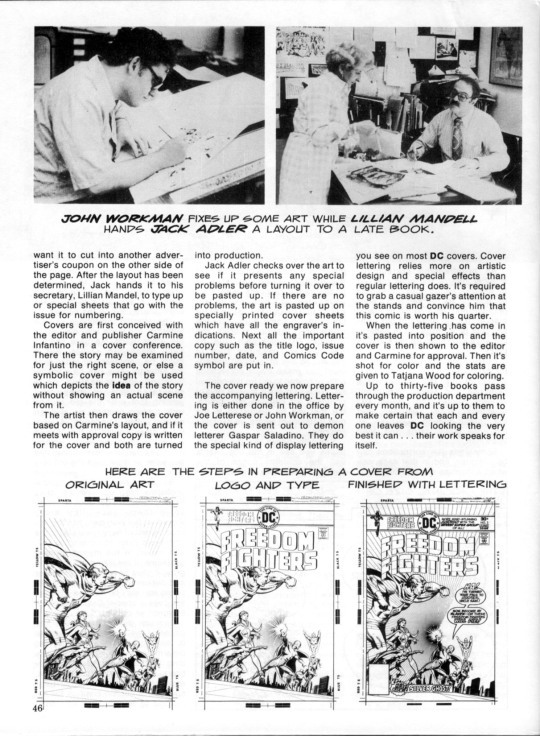 This installment was about lettering and production, two subjects that really didn’t interest me all that much. Still, I learned a bunch from it–in fact, a while later I got my own Ames Guide for ruling lettering guidelines as a result, though I don’t think I ever actually used it for very much. My homemade comics at this point were still being drawn in ballpoint pen, so I couldn’t quite see the point in ruling a bunch of lines that I was just going to have to erase again anyway. 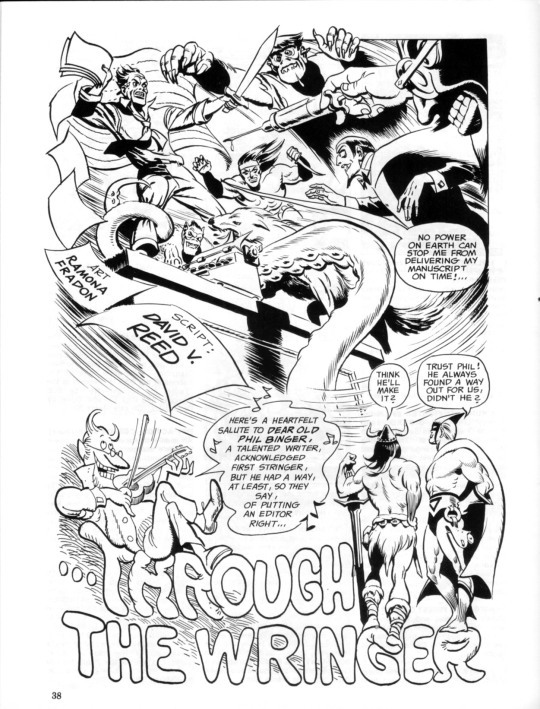 And the issue closes out with a two-page comedy filler by Jack Kirby originally intended for the second issue of the aborted IN THE DAYS OF THE MOB Magazine. 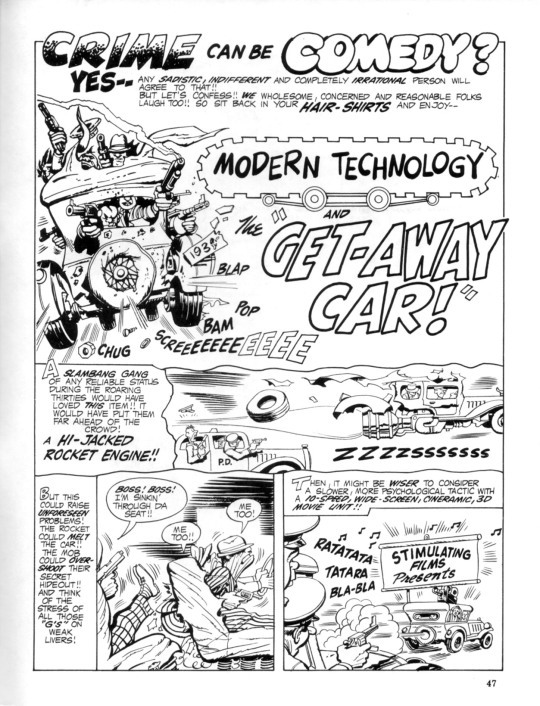 There were a bunch of images in this little two-page short that I was enchanted by–I found Kirby’s comedy work more entrancing than his contemporary adventure stuff, an opinion that would change in the years to come.